Traditional Irish foods, like the ones mentioned above are NOT good for your pet. Keep your pets away from the holiday food. 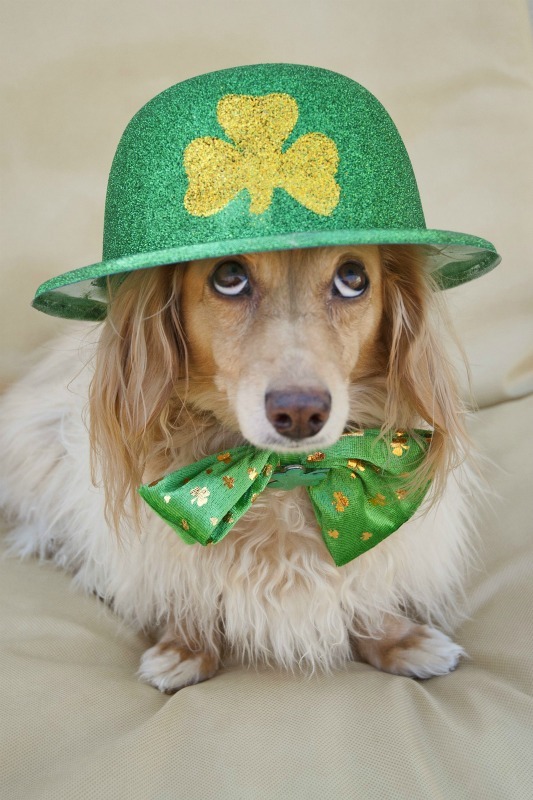 Alcohol is not good for pets, so keep your green beer out of his reach. Remember dogs absolutely should have no alcoholic beer or beverage! It really is not cute or funny to get your pet drunk. No matter how much they might beg for food and drink, alcohol is toxic for your pets and can make them extremely sick. If your pooch insists on joining in on the festivities, then buy a beer that’s safe for dogs, like Dog Beer or Bowser Beer. These non-alcoholic, non-carbonated treats are great for pets. FYI green food coloring could cause intestinal upset. Now, if your pet is one to get nervous around strangers it is best to set aside a quiet, private space just for him in your home. You may also want to think about your guests, especially if they have allergies or are simply not “animal people”. Wear green or be pinched! Unfortunately your four-legged friend was not blessed with a green coat, but you can help them out. If you’re going to dye your dog’s fur green, make sure to use non-toxic, all-natural vegetable dye. Make sure that the coloring won’t affect their sensitive skin and is okay if they lick it off. But beware, if your dog doesn’t like their coloring, they won’t be showing you any puppy love! Parades, bars and parties will be happening all around town. The city might be going to the dogs, but you and your dog should go for your walk away from bars, parties, and parades. They can be hazardous to your pet and too overwhelming. Your pet might look darling but you are surrounding him/her with too much sight, sound and food and trash temptations to eat on the ground. Especially if you have a dog with a perception of being a “mean” dog, do not bring him/her out into crowds and add anxiety to children and parents attending parades and festivals. It isn’t good for your pet at all. If your pets are in the house where there is going to be a party, make sure there is a no-disturb area for your pet to relax and stay away from trouble. 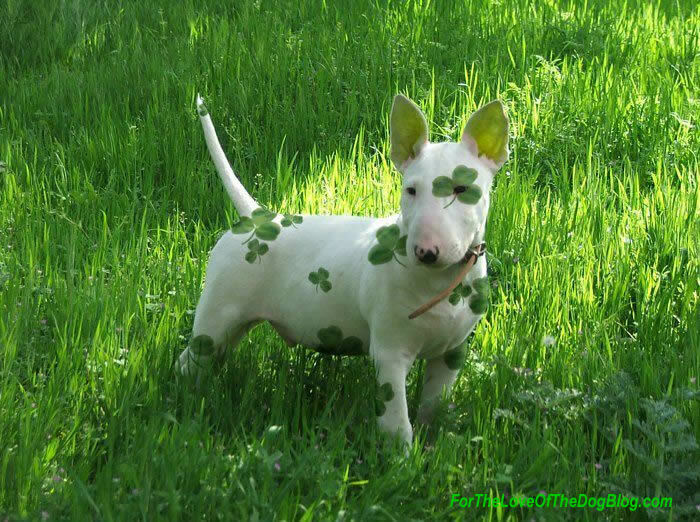 This entry was posted in Dog Tips and tagged dog friendly st louis, dog parade, dog safety, dog tips, holiday dog, st patricks day dog, st patricks day parade dog, st patty day dog. Bookmark the permalink.